Before horses were domesticated, their hooves could withstand the roughest of terrain. Walking on rough terrain can evenly match the growth of the hoof to the wear. 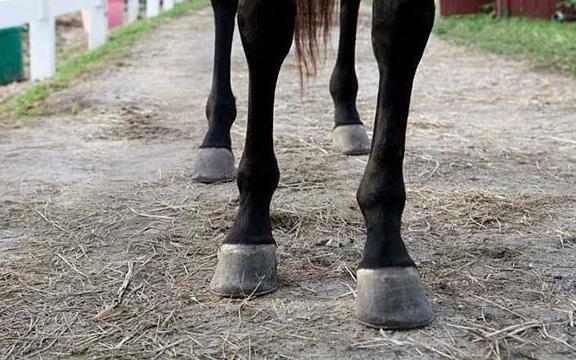 Domesticated horses are not able to wear their hooves, which can lead to uneven wearing, imbalance and many forms of lameness. There are two option you can take with horses, shoeing or leaving them barefoot, and each have their own care plan. When deciding on either you will want to keep age, hoof growth, wear, traction, and management in mind. Consult with a veterinarian and remember to always keep your horses hoof clean to prevent bacteria and subsequent illness from forming. Don’t allow your horses to go completely unprotected, invest in equine medical insurance. We at Ark International Group can offer provide quality insurance that is tailored to you and your horses need. Accidents and illness happen, make sure you can get the best care for your horse under such circumstances.